My son is 14 and has autism. I’m concerned that the school is not complying with his IEP so, I spoke to someone on the Board of Education about my concerns. He does not get his adapted PE. He’s left unattended by the parapro, bullying results. (1) the school was reducing his speech services – because the speech teacher was needed elsewhere. (2) adapted PE was no longer available. I did not yet sign and return the form. I don’t know what to do. You were wise not to sign anything until you have all the facts straight. Remember! Document everything. Everything should be in writing – any contact you have with the school, and anything the school tells you. 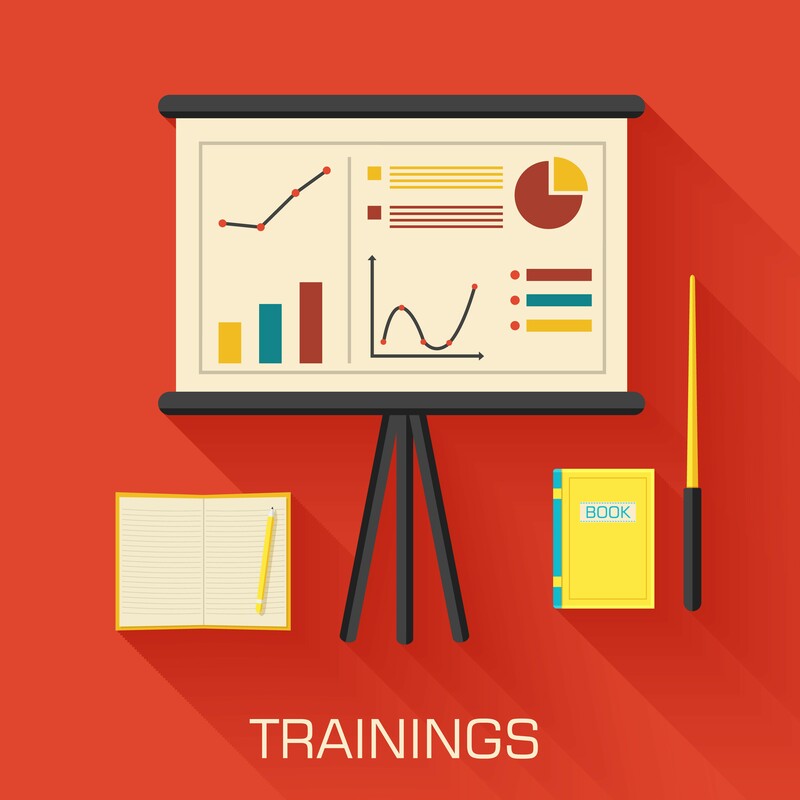 The IEP must include the projected date to begin services, and the frequency, location, and duration of services. The amount of time for each service must be stated in the IEP. The U.S. Department of Education’s Model IEP Form requires this. 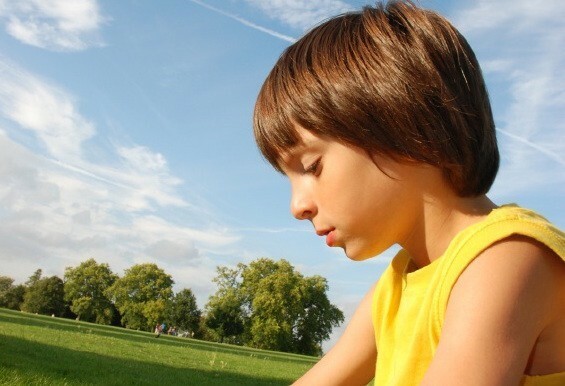 Does your child’s IEP now specify the location, frequency, duration of speech services? Reducing speech services in the IEP, that the team determined were necessary, is not an arbitrary decision the school can make. The school says my child’s IEP is based on “what we have available.” Is this right? NO. The IEP team is required to develop an IEP that meets all you child’s needs, regardless of “what is available” at the school. 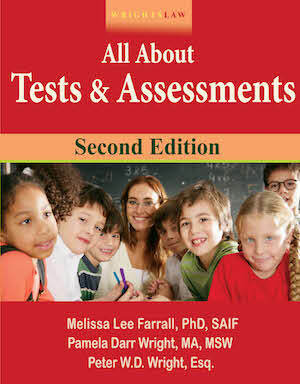 Your child’s IEP must be individualized. “What we have available” usually refers to one-size-fits-all programs that are not individualized to meet a child’s unique needs. IDEA requires that all students with disabilities be provided with physical education. Some children benefit from APE, PE that is adapted/modified to meet his unique needs. 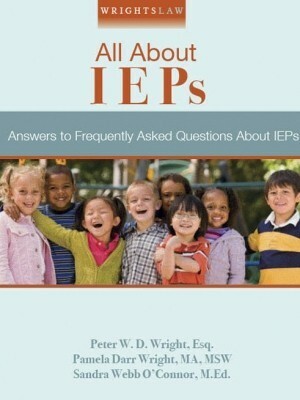 Does your child’s IEP provide for APE? If so, the school needs to comply with the IEP until the IEP team decides, based on a PE evaluation, that he no longer needs APE. The school still needs to provide physical education, even if the team determines he does not need adapted PE. Adapted or specially designed physical education (APE) is about meeting the unique needs of individual students with disabilities. This info will get you started. 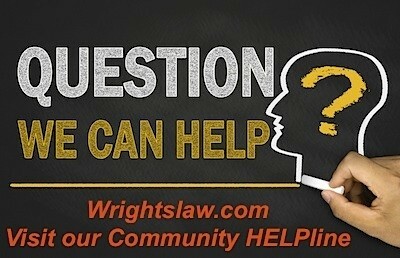 Wrightslaw.com has many articles that address your concerns. When you have questions like these, don’t forget to use the search box on any Wrightslaw page. Enter the search term relevant to your issues. 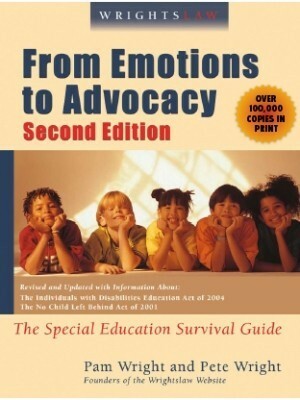 Learn advocacy tactics and strategy and how to negotiate with the school in Wrightslaw: From Emotions to Advocacy, 2nd Edition. 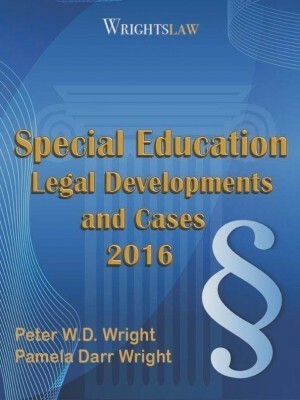 Learn your rights and your child’s rights in Wrightslaw: Special Education Law, 2nd Edition. 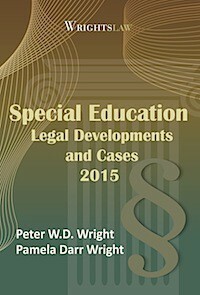 If you don’t have a copy of the All About IEPs book, or the other two books, go to What’s in Store at Wrightslaw. Any bullying issues should be documented and addressed. Also, if the IEP requires the parapro to be with your child at all times – compliance with the IEP needs to be addressed by the entire IEP team. 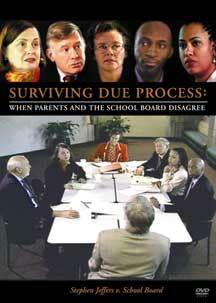 It may seem like changes were made in retaliation after you contacted the BOE. But your focus should remain on your child, his individual needs, and how the team can develop the IEP to meet all of these needs. This is not intended as legal advice. If you are concerned about these issues, you may want to consult an attorney or advocate – if only for a free consult. 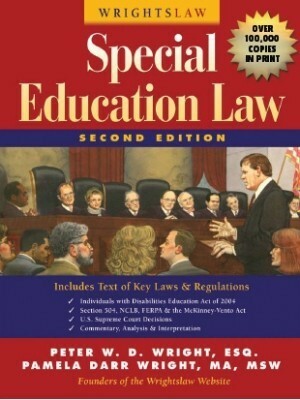 This entry was posted in IDEA 2004, IEPs and tagged Adapted PE, Adapted Physical Education, physical education, Speech Language Services by Wrightslaw. Bookmark the permalink. I am a school speech language pathologist and am on this site to learn to be a better advocate for the students I serve. The school cannot change the number of therapy minutes that your child is receiving without having an ARC meeting and amending the IEP. If they have some documentation to demonstrate that your child needs fewer minutes than the current IEP states, the ARC, which you are a vital part of, makes that decision. However, reducing services based on SLP availability is a nonstarter. If their SLP has somewhere else to be, it is up to the school to find another SLP for your child. There are plenty of SLPs who contract with schools (I am one of them) and it will be up to them to find one. It sounds like their motives are based on the latter. If anyone has questions about IDEA and physical education, please feel free to contact me. 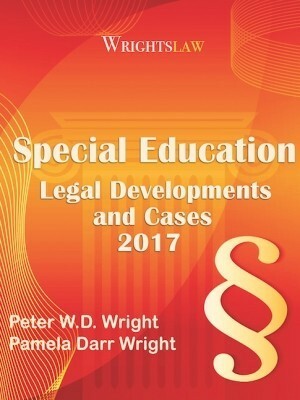 My name is Garth Tymeson and I have assisted with development of the physical education information on the Wrightslaw webpage. Physical education is part of special education in IDEA and should be provided. Many students with disabilities can participate safely and successfully in general PE. Others require specially designed or adapted PE services. 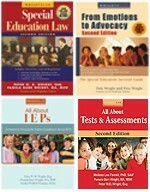 All these decisions should be made by the IEP team, including parents. My email is Gtymeson@gmail.com. Contact me if you have questions. Advice from the expert! Thank you Garth, for offering your help. Not sure what state this family is from, but when my kid was in middle/high school, we found out that PE could be taken online through the state (over the summer), and we did that, along with Health class, and keyboarding. We had to get his guidance counselor to sign off for it. There were lots of hoops to jump through to get it, but it was one of the best things we could’ve done for him.